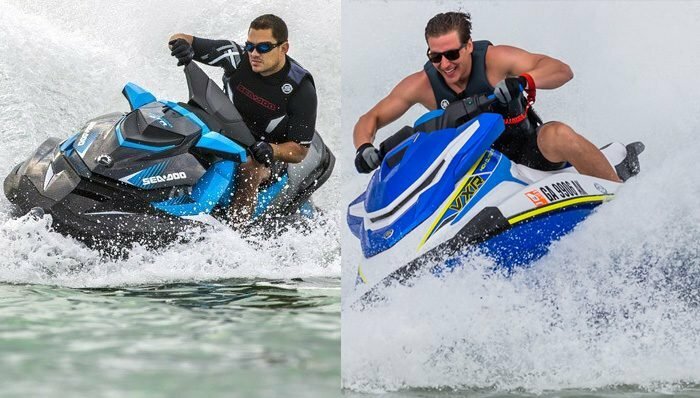 Without a doubt, one of the most exciting environments to ride a personal watercraft in is the ocean. 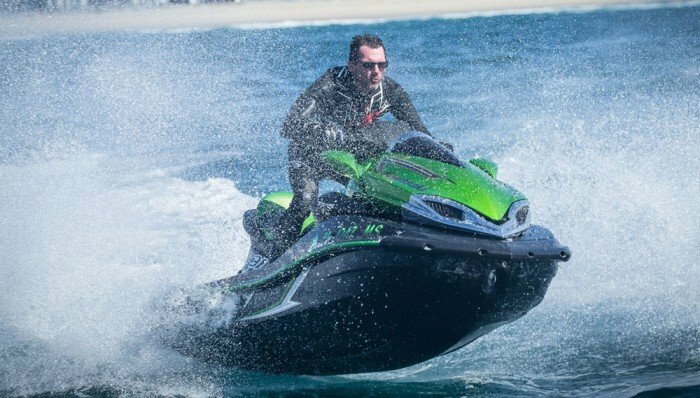 From the sheer vastness of open water, to the potential for exploring seaside towns, even the challenge of jumping waves, ocean riding has much to offer. It also, naturally, has saltwater. Play long enough in the brine and you better give your craft meticulous care, lest it turn into a rusty, corroded mess. Saltwater can rust metal parts, contribute to clogging in your cooling lines, even fry electrical components. The good news? My friend Garry Yaworski has seen it all. 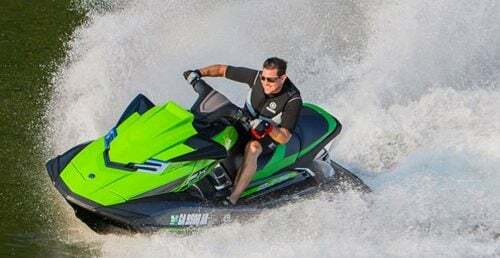 The owner/operator of a PWC rental in Key West, Yaworski has earned a veritable doctorate degree in battling the salt. And his knowledge shows. 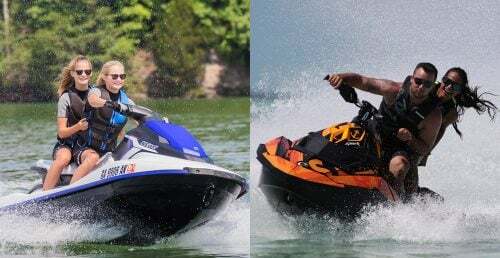 Rentals at his Island Water Sports log record hours, and keep answering the call of duty. And when Yaworski is finished with a boat, it often finds its way into the hands of a local, who gets even more time out of it. Obviously, he knows a little about salt. And lucky for us, he’s willing to share. 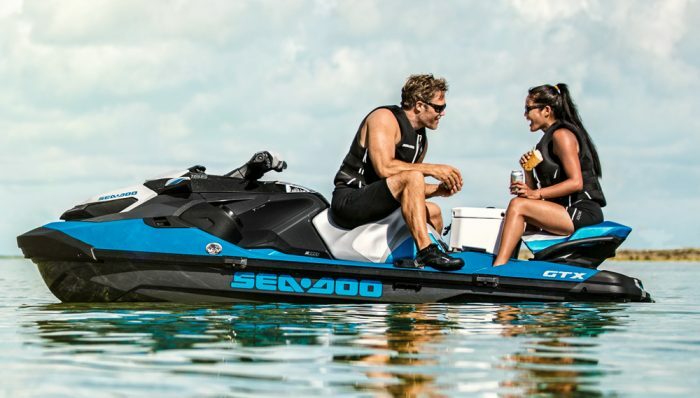 Riding in the open ocean is always exciting, but saltwater can be damaging for your craft. The reasons why saltwater is such a menace to PWC society is twofold. One, it’s highly corrosive. Over time, nearly all metals will experience some form of deterioration though reaction with their surrounding environment. Saltwater, however, accelerates the process. In coastal Florida, just leaving a tool outside overnight is often enough to discover a fine coat of rust on the metal. Two, saltwater is an excellent conductor of electricity. And though you may not know it, electrical currents are often present in the water. 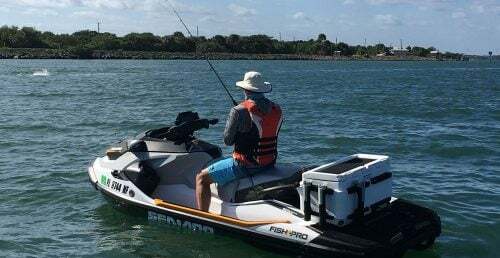 Whether generated by the charging system of an outboard motor or a nearby cruiser’s generator, these currents result in electrolysis, the process in which an electric current flowing through a water solution of a chemical breaks that compound up into its component parts. That’s the bad news. Now here’s how to combat it. Start with your electrical connections. Yaworski swears by Corrosion Block, from Lear Chemical. Undo every connector, and generously coat each side before reconnecting. Next, give all exposed metals a layer of protection. Forget WD-40. It’s not intended for this kind of use. 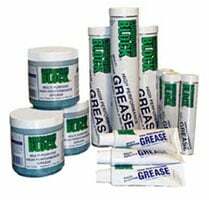 Instead, try something like CRC’s Heavy Duty Corrosion Inhibitor, which leaves a thick, waxy film that is not easily rinsed away. Spray all exposed metal surfaces at the start of every season, and every 50 hours thereafter if you use your craft heavily. Pay close attention to areas like battery terminals, throttle connections, and oil pump. 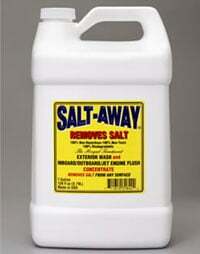 Salt Away helps strip the salt off your engine. At the end of a day riding in salt, remember that freshwater is your friend. 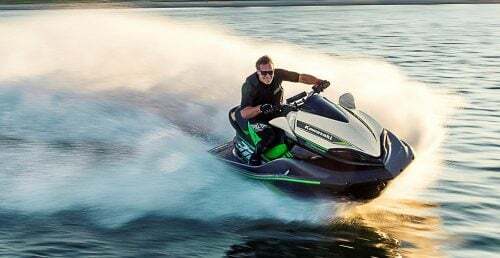 Flush your craft according to the manufacturer’s directions, then spray down the entire engine compartment, opening the drain plugs to remove the water. When finished, sponge up any remaining water that may be trapped in nooks of the hull. He also recommends using Salt Away, a salt “stripper” that can be mixed into your flush water. When finished, block up, or leave the seat off and allow everything to thoroughly dry out and ward off condensation and mildew. 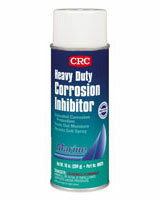 Resist haphazardly recoating the engine with a corrosion spray after the initial treatment with CRC. Petroleum-based products can break down rubber hoses and motor mounts over time, as well as attack electrical insulation. 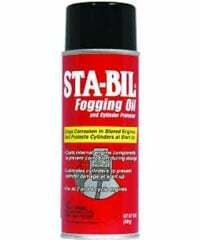 STA-BIL fogging oil helps prevent corrosion. 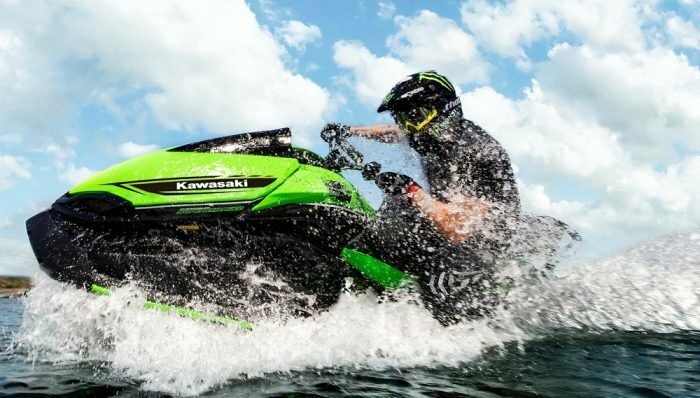 If your next ride is several weeks away, consider fogging the engine. Fogging internally coats the engine’s internal surfaces with a lubricant that prevents any corrosion from occurring due to condensation or other factors. The best time to fog your engine is while flushing the cooling system. 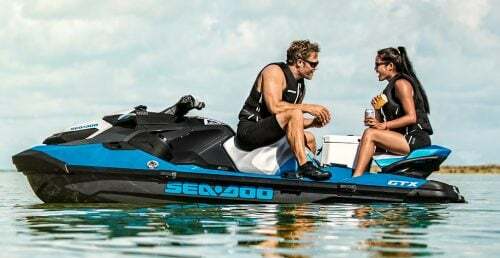 A definite oxymoron when it comes to personal watercraft, but Yaworski argues it can add considerably to your craft’s life. It doesn’t mean don’t get your craft wet. But it does mean remember to always install your drain plug, so that outside water doesn’t enter your engine compartment, avoid rolling two-strokes over the wrong way should you capsize so as not to force water down the carburetor, and watching for any leaks in cooling lines that may be spraying your engine with a salty shower. Are all these extra steps worth the trouble? Consider this. 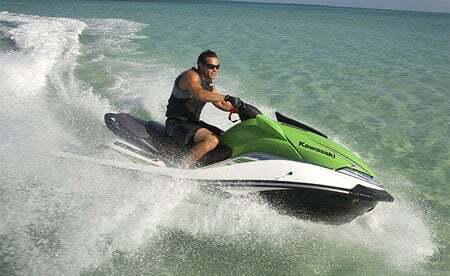 Yaworski has been known to routinely get over 1000 hours out of his rental craft without failure.